Richa Rudola is an award-winning NYC-based filmmaker. Films were not a big part of Richa’s childhood growing up in India. It wasn’t until pursuing a statistics graduate degree in the United States that she discovered independent and foreign cinema and fell in love with the medium. Her first short film, Taaza Khoon (Fresh Blood), is currently enjoying a successful festival run at 25 film festivals across the world with seven awards in tow, including Best Narrative Short, Best Horror Short, and Emerging Filmmaker. Richa’s scripts have been shortlisted for Oscar-qualifying festivals such as HollyShorts Film Festival, Nashville Film Festival and received accolades from ScreenCraft Film Fund, Shore Scripts Film Fund, and Ocktober Film Festival. She was recently selected as one of 25 film directors from across the world for Shore Scripts’ Directors Roster. As an actor, she has performed in short films and Off-Broadway plays in New York City. Her film writings have appeared on Static Mass Emporium, a UK-based independent film publication. Richa is a strong proponent for increasing diversity in storytelling and serves as the Vice President of Development for NYC Women Filmmakers Inc, a film collective non-profit dedicated to supporting women in film. She’s also a proud member of Filmshop, The FilmmakerHers, NYWIFT, and Kalakars (formerly, South Asian Film Collective). Richa spoke to Works by Women about her transition from statistics to filmmaking, her upcoming short film The Seal and what advice she’d give to up-and-coming filmmakers. 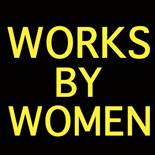 WORKS BY WOMEN: You were studying statistics when you decided to be a filmmaker. How did you make that leap? RICHA RUDOLA: I was actually practicing statistics as a risk manager when I decided to focus on filmmaking. It started organically enough with developing an interest in screenwriting. When I moved to NYC in 2007, I was exposed to a lot more independent and foreign films than I’d ever watched before. I noticed how stories were written more than anything else. I took various screenwriting courses over the years and kept working on writing. I also dabbled in writing film reviews for an independent film publication. Then, I got into a film lab which really accelerated my writing, both in terms of how much of it I was doing regularly and also because I was surrounded by a trusted network of artists who supported one another. Initially, I wasn’t interested in directing but my mentor from the lab and another filmmaker (now a close friend) insisted I should be directing my own stories. Once I started to believe that, there was no looking back. Overall, the physical leap was many years in the making but the mental leap, although short, was harder in some ways. WBW: You are a multi-hyphenate writer-director-actor. How have each of these informed the other in your training and in your work? RR: I don’t act in my own work but as an actor in others’ works, I usually observe the dynamics between actor-director. Acting informs my directing abilities and helps me better understand what kinds of directions are useful for actors versus not. It’s easier to assess when you’re forced to inhabit the shoes of an actor and have to decide how to interpret direction or look for tools within your own arsenal. It works the other way too as directing helps me truly appreciate how vulnerable acting can be and to appreciate our actors for everything they do to realize their director’s vision. WBW: Who are your favorite filmmakers (other than yourself!) and why? RR: I don’t have too many singular-favorites. I like portions of various filmmakers’ works – writings of Charlie Kaufman, works by Mary Harron, Karyn Kusama. I love the horror/psychological thriller genre and anyone pushing boundaries there such as Lars von Trier, Ana Lily Amirpour. I really loved Ari Aster’s Hereditary. I’ll always be grateful to Pedro Almodovar for exposing me to various kinds of characters I’d never met before in real life. I also love many of the amazing films and series that are coming out of India right now. WBW: Your latest short script has been accepted into Nashville FF, Hollyshorts FF, a finalist for 2018 Shore Scripts Short Film Grant and shortlisted for 2017 ScreenCraft Short Film fund. What has been your experience as a writer with these festivals and accolades? RR: It was a really neat experience to get to “pitch” my script at the Nashville Film Festival in a formal setting. I enjoyed the prep work leading up to it and realized people are looking for a good storyteller even more than, if not as much as, a good script. I didn’t get to attend HollyShorts in person but being a Finalist for Shore Scripts and ScreenCraft have been exercises in validation, above all else. A process like writing, where you bare your soul, can be hard enough to begin with, especially when you struggle with self-doubt as I’m wont to do. We’re lucky that the time has finally come to make more room for diverse stories and perspectives and I’m encouraged by the movement and enjoy being able to contribute to it as a writer. WBW: Tell me about your latest project, which you will shoot soon in the US and India. RR: The Seal is a psychological thriller about a woman’s journey of healing from trauma. It’s about the battle between the mind that wants to forget the abuse and the body that remembers the abuse. It’s loosely derived from my own fears of growing up terrified of being sexually abused as a girl in India, but is a film less about trauma than about how to move on from trauma. We’re doing a three-day shoot in NYC at the end of August and then a one-day shoot in India soon after. I worked on the script for over one-and-a-half years so it’s extremely exciting to be able to turn it into a film now. What’s more, a truly incredible team of filmmakers are on board and we cannot wait to bring it to life. WBW: What have you learned about filmmaking? What can you impart to someone wanting to make their first film? RR: I’m still learning a ton but here are a few things I’d share with anyone wanting to make their first film. 1) Find at least two people (one with a film background and one without) who believe in you and are there to support you on this journey. Personally, that made a big difference for me to have the strong support of a filmmaker with far more experience than me who was willing to partner with me and guide me through the daunting steps of making my first film (he produced and edited my film). On top of that, having a loving partner in my husband made it easier to face the risk of failure. 2) Better yet – find a community of artists with whom to grow together – a film collective, a film lab, a film school, etc. 3) Don’t get too discouraged by rejections which WILL come in droves. Acknowledge them and continue moving forward. It’s often a numbers game – you lose more than you win. RR: I used to find the expression “don’t quit your day job” to be discouraging, but I’ve been advised it isn’t so bad and that I should continue the hustle of a day job and filmmaking for as long as I can manage. So far it’s working (I think?)! To learn more about Richa Rudola and her films, visit her website www.richarudola.com. This entry was posted on August 25, 2018 by worksbywomen in Film, Women and tagged ana lily amirpour, charlie kaufman, filmmakehers, filmshop, fresh blood, hereditary ari aster, hollyshorts film festival, india, kalakars, karyn kusama, lars von trier, mary harron, nashville film festival, nyc women filmmakers, nywift, ocktober film festival, richa rudola, screencraft film fund, shore script film fund, static mass emporium, taaza khoon, the seal.